Parkinson’s is a brain disease which affects the motoric functions of a person. Unfortunately, the scientists haven’t discovered the cure for Parkinson’s, yet. Early symptoms include light shaking and tremors, as well as slow physical movements. Even though some medications can help, but after some time, when the disease progresses, they start to lose the effect. But, if you have an early stage of Parkinson’s disease, and you want to slow down the progress, there are some things you can do. You just need to stick to them, regardless of your condition, in order to feel the benefits. Several studies have shown that exercise can reduce chances of developing Parkinson’s disease later. Even people who are suffering from Parkinson’s should exercise regularly, especially in early stages of a disease. In this way, you are minimizing the effect of disease and slowing down its progress. Considering that Parkinson’s affects your motoric functions, the regular physical activity can help you significantly in preventing additional side-effects of this disease. Doing regular exercise should be your imperative, if you want to have a normal and healthy life. Current drugs that are used for type 2 diabetes can help manage the symptoms of Parkinson’s, but they can’t stop the cells dying. There has been much research, and many studies have shown that this drug can slow down the progress of a disease. In this trial, half of the patients were given diabetes drugs, and the rest received a placebo. But, also, all patients stayed on their usual medication. As doctors predicted, patients who received their regular medications declined over 48 weeks, but patients who got type 2 diabetes drugs, were stable. After the three months, the experimental treatment stopped and people who took exenatide, we still better, then people who received placebo. People should start taking coenzyme Q10 regularly. Your recommended doses should be 100 milligrams three times a day and gradually increase up to 1200 milligrams a day. Also, you should get a dose of vitamin E, and C. Take 400 IU vitamin E and one to two grams of vitamin C daily. Make sure to have a proper daily habit, in this case, low-calorie and low-fat, but also diet high in fruits, vegetables, and beans. Green tea is also beneficial when combating Parkinson’s disease. You should drink at least a couple of cups every day. Hello, my name is Den Kerry and welcome to my blog. 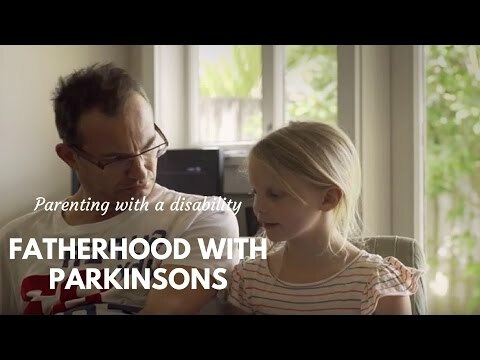 I have been struggling with Parkinson’s for the last five years, and this is one of the reasons why I started this blog. I want to help all people who are suffering from this disease. When I first find out that I have a Parkinson’s, it was a significant shock for me, and I couldn’t cope with this condition. But, soon I started thinking how I can improve my health and I started fighting. I hope that this blog will help many people who are struggling with this condition.